Hyperoptic’s aMAYzing flash sale – extended offer! AMAYZING FLASH SALE - EXTENDED! By popular demand, our aMAYzing flash sale will continue until 24th May! You’ll just need to update the offer end date on all of your comms. • The aMAYzing flash sale will continue to run from 17th May – 24th May. For full offer details, see below. If you have any questions about this offer, or wish to get in touch regarding future promotions, please contact affiliates@hyperoptic.com. It’s that time of year again. Spring has sprung, and a new season of blooming unmissable deals from Hyperoptic has begun, including an online exclusive for our affiliate partners! We’re offering free activation across our Broadband Only packages, worth £40, when promo code SPRING40 is used. Following the spring equinox last week, we’re kicking off a fresh campaign to encourage people to demand more from their broadband and see their online world revived. A spring clean is due, so we’re inspiring consumers to spruce up their broadband and uncover the fastest speeds, the best value and the highest-rated service with our full fibre connection. Throw out slow copper connections, iron out buffering and sweep away shoddy service. It’s out with the old, and in with the new. That means from 2nd April, customers can enjoy brand new 12-month savings across our 30Mb, 150Mb and 1Gb broadband packages – with or without phone service. And with deals starting from just £17 a month for Broadband Only and £18 a month for Broadband & Phone, polishing up broadband bills this spring will be an absolute breeze. 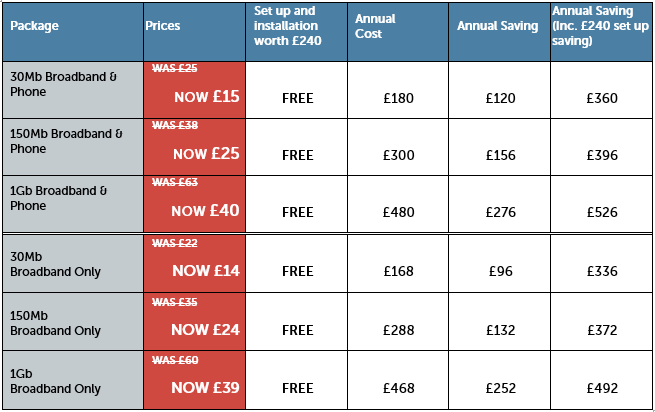 All offers, which are available until 2nd May, include free standard installation worth £200. In addition, our Broadband & Phone packages come with free activation worth £40. As part of a very exciting online exclusive for our affiliates, we’re offering free activation across Broadband Only packages when promo code SPRING40 is used, which means the annual cost for 30Mb Broadband Only is just £204! As always, our customers enjoy totally unlimited downloads and data use, to make the most of their full fibre connection. Please get in touch with affiliates@hyperoptic.com if you have any questions or opportunities to share. Love is in the air in February and Hyperoptic is ensuring everyone finds their perfect broadband match with some exciting deals that’ll have you swooning! As a provider of full fibre internet, Hyperoptic has long been encouraging consumers to demand more from their broadband. Now is the time to ditch a disappointing broadband partner and find a connection that lasts. Prepare to be smitten with our 30Mb, 150Mb or 1Gb (that’s 1,000Mb) full fibre speeds and enjoy date nights with the UK’s fastest broadband, while enjoying incredible 12 month savings. 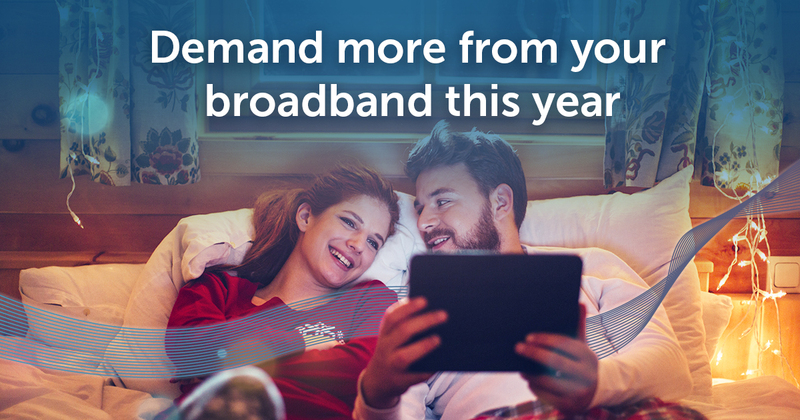 With deals to fall in love with, available until 28th February, you can order now and find your perfect broadband match with Hyperoptic. All offers include free standard installation (worth £200), and our Broadband & Phone packages include free activation (usually £40). Forget multi-pack socks and cheap chocolates. This Christmas, Hyperoptic is giving the gift of a Gigabit – plus loads more! 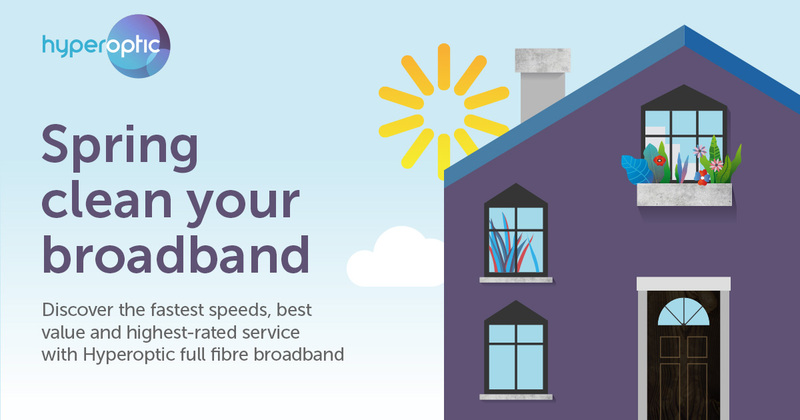 Find out about the latest full fibre broadband offers below. Customers will be able to take advantage of these offers, which are available on Hyperoptic’s recently-upgraded 30Mb, 150Mb and hyperfast 1Gb packages – with Broadband and Phone or Broadband Only options – from 1st December to 2nd January 2018. All offers include free standard installation worth £200, and on the Broadband and Phone packages, free activation worth £40 too. As always, our hyperfast fibre comes with unlimited data and unrestricted usage. If you have any questions or opportunities that you would like to discuss, please get in touch with affiliates@hyperoptic.com. Hyperoptic is loads faster, loads better and now loads cheaper! The Black Friday weekend is fast approaching and Hyperoptic is joining the celebrations. From Friday 17th – Thursday 30th November we are offering super 12 month savings on a 12 month contract, with up to an EXTRA 20% off, when customers use promo code BLACK17. Customers will receive FREE standard installation, and benefit from FREE activation (normally £40) on all our Fibre Broadband packages. The sales ends 30th November, so customers need to hurry! 30Mb - £17 a month, for 12 months, £25 a month afterwards, Extra 10% OFF. No activation fee. 150Mb - £25 a month, for 12 months, £38 a month afterwards, Extra 15% OFF. No activation fee. 1Gb - £39 a month, for 12 months, £63 a month afterwards, Extra 20% OFF. No activation fee. Please use these links for the offer and don't forget to update !!!sitename!!! part of the deep link. If you have any exposure opportunities or questions about our Black Friday offers, please get in touch with borka.majkic@hyperoptic.com or karis.mcmahon@hyperoptic.com.